Hi everyone! Summer is in full swing and with that means rising college freshmen are searching far and wide for dorm decor and supplies. 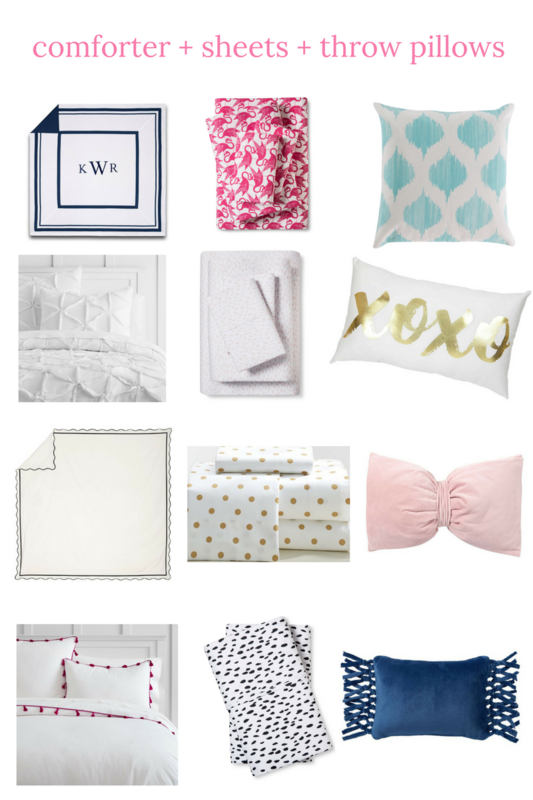 I have been in the search for the perfect dorm room bedding, decor, and more for the past year (I'm a bit obsessive about it) and I wanted to help you all along on the process, because just like you, I am new to this as well! 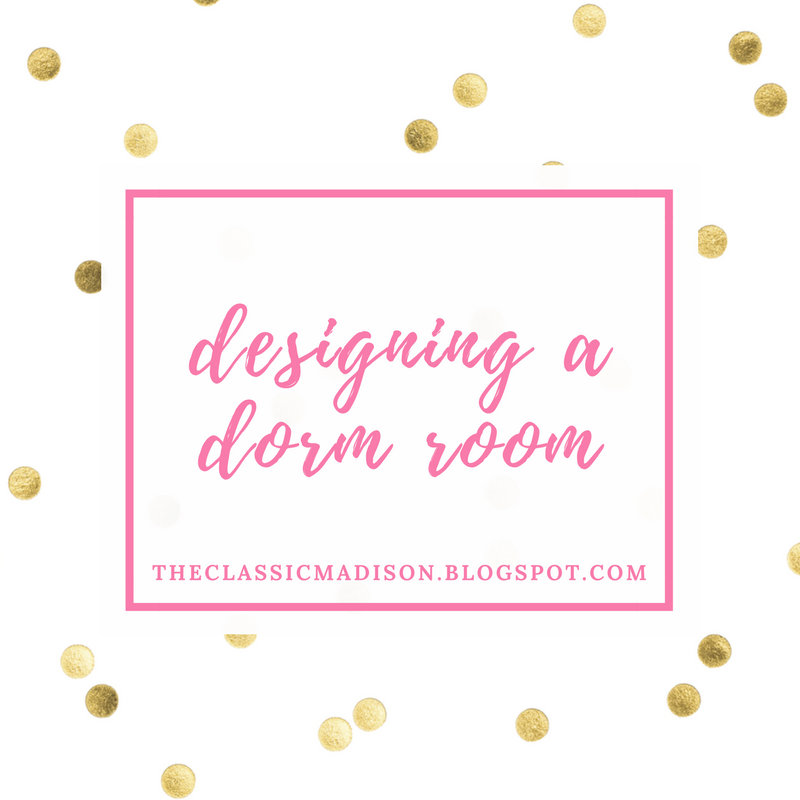 So, let's work through this together and plan the perfect dorm room. At Furman, we don't find out our dorm or roommate until mid-July. When I found that out, I surprisingly did not panic at all because I realized you don't have to coordinate with your roommate. It would be nice to do so, but waiting until the end of the summer to buy all your dorm stuff is way stressful than having different sides of the room in my opinion. So, with the idea in mind that you don't necessarily have to coordinate with your roommate, I at least wanted a side of the room that wouldn't clash with my roommate's side. I like the idea of neutral, pattern-free bedding and then colored accents throughout the room. I'll provide several options for all kinds of ways below, but let's get started! Like I said in the intro, the idea of neutral and pattern-free bedding is ideal. Start with a ruffled white comforter or cream colored bedding, and then throw in fun sheets to make your bedding more colorful. That way, you don't have to worry about clashing with your roommate but you also don't have to compromise your personal style. I'm going for plain white sheets because I want all neutral bedding, but you can always bring several different pairs of sheets to change up the look if you get tired of white or a pattern. Here are some options below! 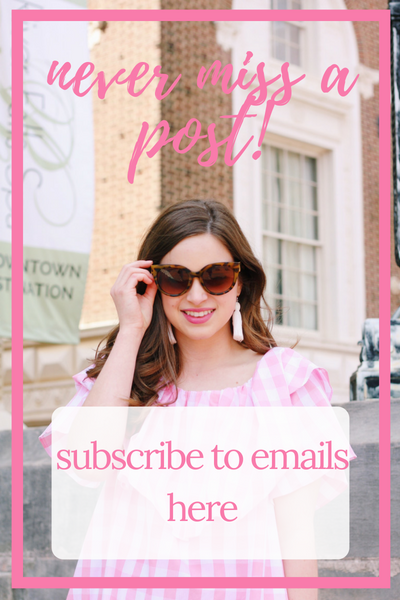 If you want a polished dorm room or one that feels more homey, I would highly suggest a headboard or dorm skirt (or both!). I am proudly buying both because I want my room to feel elegant but also like a room I would have back at home. I think these are perfect for anyone looking for a bit of sophistication in their room. A great thing about bedskirts is that they can cover up clutter under the bed so your room looks even more refined. The least expensive headboard I have found is from Dormco. I decided to go with a white headboard that I can recover with fabric. That way, when I change my room theme, all I have to do is recover the headboard. Probably one of the most overlooked but important parts of the college dorm room is wall art and decor. Whether that means a gallery wall or just a couple of prints, art is what helps to bring the drab cement walls to life. And the great thing about planning your dorm art is you can go in so many directions. If you don't see anything for sale that you like, you can make your own! It is totally customizable and at all price ranges. 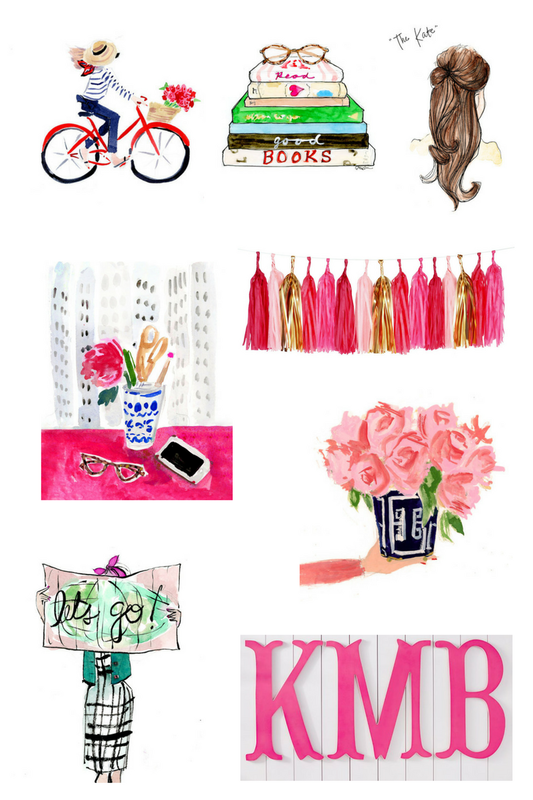 If you aren't that artsy (like myself) Etsy and other online boutiques have plenty of options as well. Just be sure they match your room theme! Here are the ones I'm taking with me! Also consider adding in mixed media to your gallery wall. 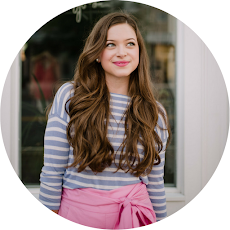 I love the idea of wooden letters, which range from DIYs to ones from pbteen. 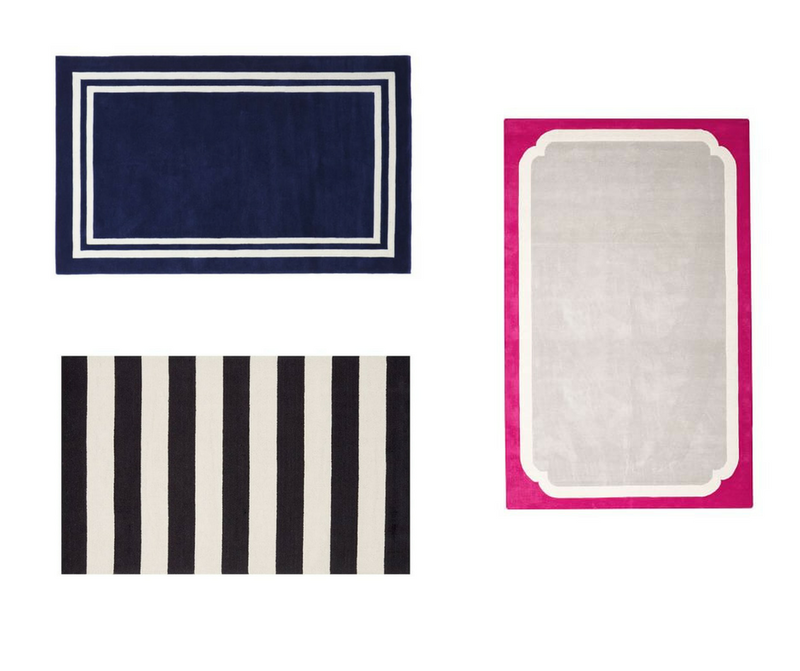 Rugs make every dorm room look a million times better. There are so many options, but before buying one be sure to check out your room's dimensions. I won't be able to purchase a rug until late July because that's when I find out my housing assignment, so be sure to wait until you know exactly what your dimensions are. So when thinking about a dorm room, the last thing that probably comes to mind is furniture. You think, I can't really bring any furniture right? I have a bed, a desk, and a dresser. Well, I am here to tell you that there are plenty more furniture pieces that can be added to make your room more livable, such as an ottoman, a small bedside table, and even a desk hutch! So it doesn't have to be big furniture, just small pieces that you can use to enhance the space. If you don't find an ottoman online that matches your room theme, consider purchasing a plain white one and then cover with fabric to match your colors specifically. 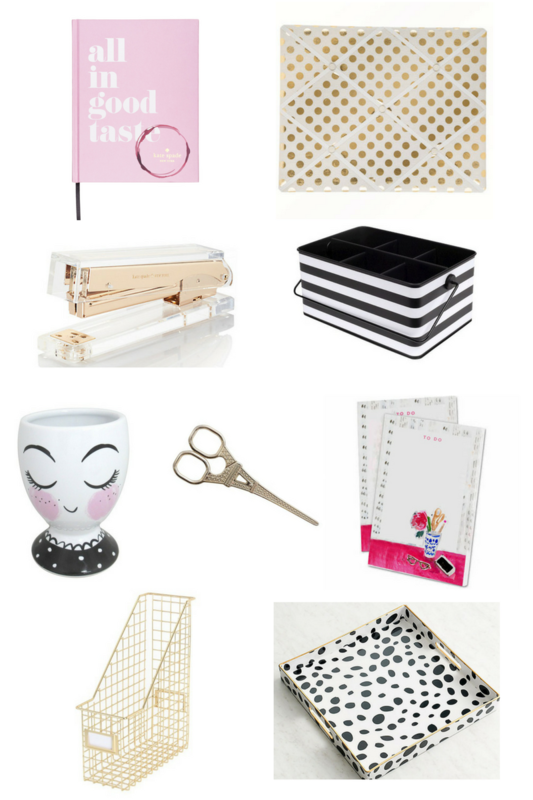 A final touch to designing a dorm room are the little accessories in the room, such as desk accessories. These are not entirely necessary, but I think that adding touches like these make the room seem much more personal and inviting. Here are a few of my favorites. I had so much fun making this and I hope you enjoy dorm room shopping. 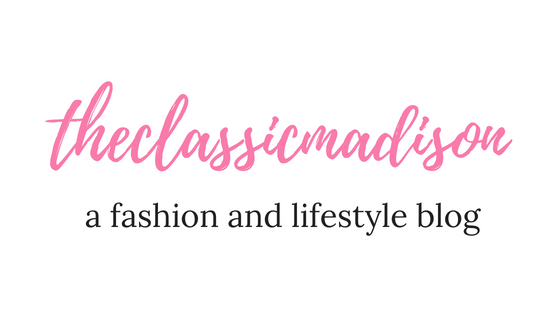 A lot of my inspiration comes from other bloggers, so I hope you can take some inspiration from me! If you purchase any of the items I featured, please tag me on instagram if you post it or comment below! 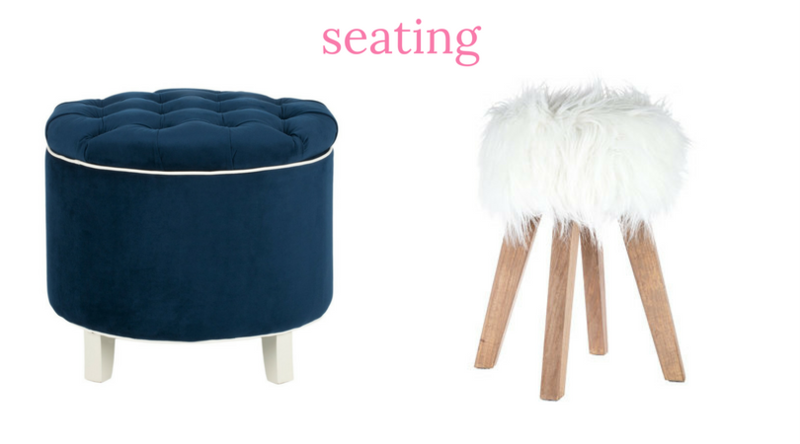 I am so excited to put together my dorm room in August and show you all the pieces I picked out! Until then, happy shopping! 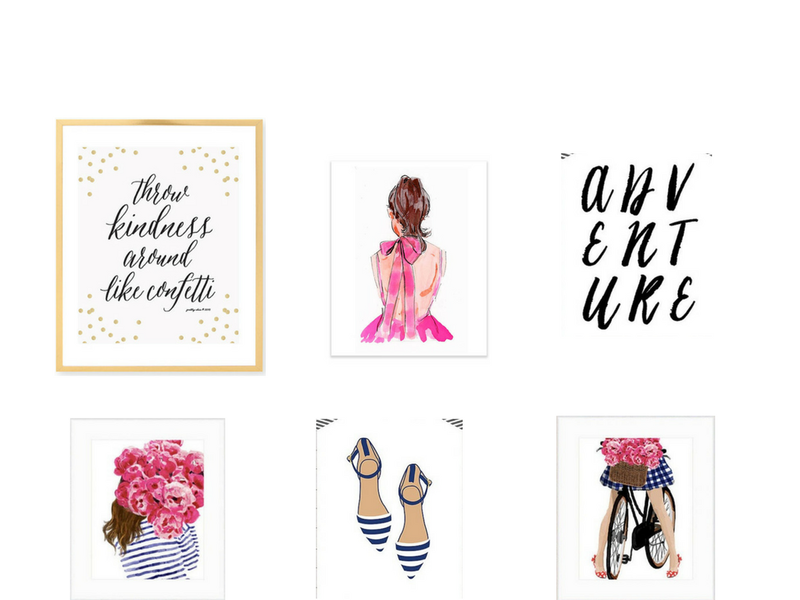 I love all those prints, Etsy is the best for finding cute preppy prints!